The National Flood Insurance Program plans to begin sending 144,000 letters in the coming weeks to homeowners from North Carolina to Maine to begin the complex job of reviewing claims for superstorm Sandy victims who suspect they were cheated out of money to rebuild. Those letters, which could arrive by the end of April, will direct homeowners who want their claims reopened to dial an 800 number to a call center that will open soon. Cases will then be reviewed by adjusters, engineers and others overseen by the official in charge of reforming the troubled flood insurance program. "We want to give people confidence that the process and the outcome aren't being controlled by the same people who disappointed them in the first place," Brad J. Kieserman, the Federal Emergency Management Agency's deputy associate administrator for insurance, said in an interview. Homeowners who ask for the claims to be reviewed won't automatically receive a bigger settlement. And some who have their claims reviewed may wind up having to repay the flood insurance program if adjusters determine their initial settlement was too large. Kieserman, however, said he expected those instances to be rare. Kieserman outlined the broad strokes of his proposed plan for the unprecedented review during a meeting Wednesday in Manhattan with two dozen social workers, pro-bono lawyers and other advocates who work with Sandy victims. He stressed that he was still designing the process and asked the nonprofit groups for advice on how to best tailor it to help storm victims. He took over the flood insurance program last month after dozens of homeowners from Long Island and elsewhere accused private companies that process claims for the government-run insurance program of forging documents and using other methods to underpay claims after the 2012 storm. The allegations have led to a state criminal probe and the departure of two top officials at the flood insurance program. Earlier this month, FEMA vowed to establish the process for all 144,000 Sandy victims who filed flood-insurance claims to have their cases reviewed. Kieserman acknowledged that the challenge of reviewing claims 28 months after the storm will be formidable. Many homes have been torn down. Others have been rebuilt, erasing any trace of damage. And homeowners haven't necessarily saved every receipt. 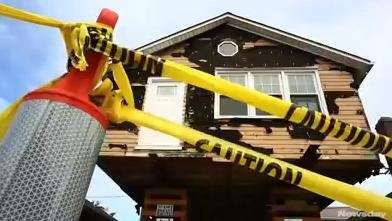 In short, it will be hard to prove the scope of damage and cost of repairs. Officials from the nonprofit groups, meanwhile, said it would be difficult to convince storm victims to trust a process operated by the same government-run insurance program that, in their eyes, betrayed them after the storm. The advocates suggested that Kieserman consider accepting sworn affidavits in place of receipts. And they urged him to find credible adjusters whose estimates for the costs of labor and materials are on par with New York prices. Kieserman said he would continue meeting with the nonprofit groups to complete the details of the approval process. He also agreed to designate a flood insurance official to directly field their inquires. Ben Rajotte, who directs the Disaster Relief Clinic at Touro Law School in Central Islip, had asked Kieserman for Wednesday's meeting. "We understand they are sincere about getting this process right," Rajotte said. "We admire that they are going above and beyond." While FEMA pays flood insurance settlements, homeowners say insurers that process claims still lowball them. That is primarily, they say, because companies are penalized for inflating claims. So lawyers say insurers err on the side of underpaying. Robert Hartwig, president of the Insurance Information Institute, said insurers have no financial motive to cheat. The allegations of fraud, he said, are limited to a handful of cases being overblown by trial lawyers. Hartwig predicted that the review would ultimately find that the vast majority of claims were adjusted properly. While Kieserman wants the process running by the end of April, he said it may take longer if that means making it better. "I am willing to take a little more time," he said, "if it means getting it right."